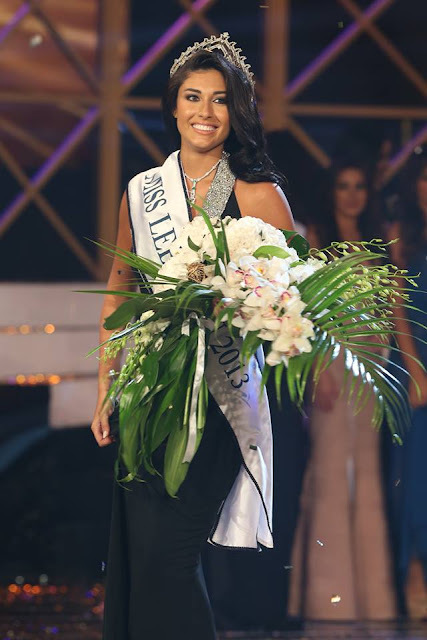 Karen Ghrawi (22) was named Miss Lebanon 2013 at the conclusion of a glittering event in Beirut on Sunday. She will represent her country at the Miss World and Miss Universe Pageants. Ghrawi defeated 15 other finalists including 1st runner-up Jose Rita Azizi and 2nd runner-up Christina Dagher. The third runner-up was Dania Kobeissy and the fourth runner-up was Nay Riachy. I like her. She's pretty!